Autism parents don't ever get a break. I just sat down, on a so called break after work, and see shredded little toe separator thingys that I have owned for at least ten years. They've been shredded into oblivion - a victim of Autism's love of shredding and destruction. In fairness I had owned them forever and they were super cheap and not a great financial or sentimental loss. How they came to be destroyed is a simple story. I gave myself a pedicure yesterday at home and while my toes were wet I ambled up the stairs, doing the heel heavy lumber of one whose toes are separated to keep those wet toenails apart. I sat down at the computer and eventually the polish dried and I pulled them out of my toes. As we set drinks and food on our table here that we use for a desk, I chose to set them on my computer tower underneath. And there I left them. There Miles or Charlie found them and pulled them into 10000 pieces. The problem isn't that they shredded or destroyed something that I will replace for a couple of bucks. 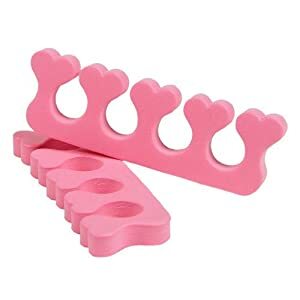 It's that those toe separators represent every single thing in the universe. Nothing is safe. I can never, NEVER, let down my guard. I let down my guard yesterday. It could have been poison. It could have been breakable, It could have been something irreplaceable. It could have been a piece of the one true cross it doesn't matter, had it been left behind it would be possibly subject to destruction. Miles and Charlie like to take things apart to see what they are and how they work. Sometimes they just like to pull things into many pieces and throw those pieces around. Usually it's the latter, frankly. That's what it's like, mostly. You can never, ever be off duty. If you are with them, you're on duty. You're responsible. You have to constantly be aware, what's in your mouth? What do you have? Please don't bang that against the wood finish. What is that? Don't tear that please. Don't sit on top of that you're breaking it. Stop. Stop. Stop. STOP. Mostly it's not just the destruction of the things. It's about them being safe. Sometimes it's because those things are loved by others - other children or adults, and we'd like them not destroyed. We've replaced some things over and over. My husband tapes books back together over and over and over again. He could work at the public library easily if that's a skill they need there. It'll happen again, and I hope it will only be something like toe separators. That's about the best I can hope for. I'm human. I'm going to make this mistake again.